← NaNoWriMo– and what I’ve learned from my many failed attempts! If you’re reading these posts in order, then you’ll know that I was sitting at about 5,000 words in NaNoWriMo 2014 the last time I checked in. Well, if you finished NaNoWriMo with at least 50,000 words, let me congratulate you with utmost sincerity and many cheers! I did not finish NaNoWriMo with anywhere near 50,000 words… I actually got to about 10,000. However, the thing that I really took away from NaNoWriMo 2014 is this: this was the first year that I actually wrote a complete story during NaNoWriMo. It wasn’t a novel, and it wasn’t 50,000 words. Yet, I still feel a wonderful sense of accomplishment. 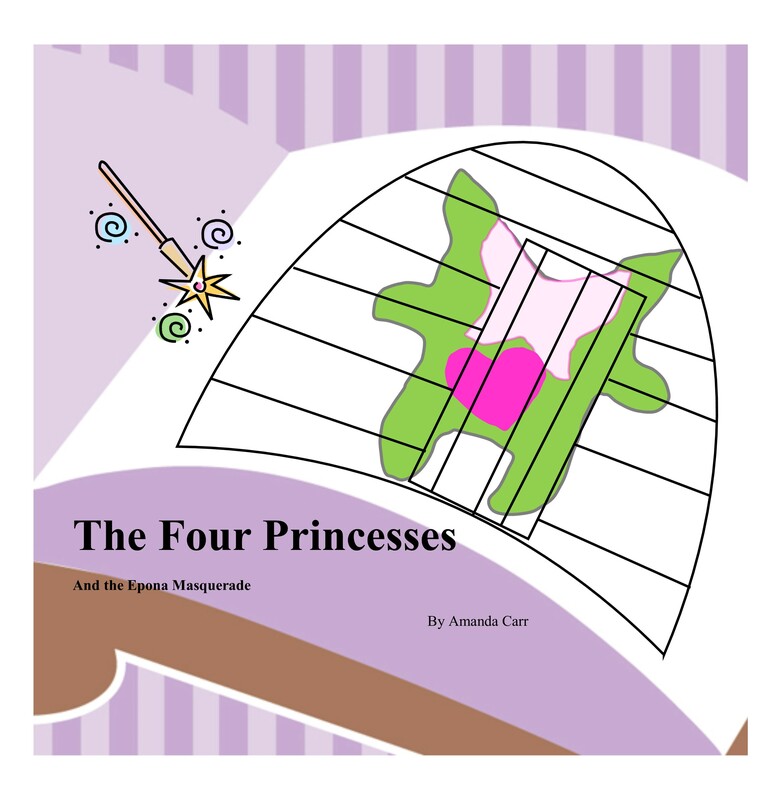 I took my little story– a story about 4 princesses, 4 fairies (who just happen to be monsters), a witch, and a dragon with a brief mention of a troupe of ogres, and I wrote the whole thing. I edited it. I illustrated a cover for the story. I submitted it all to CreateSpace, and I published the book for $12.99. I published it on Kindle for $1.99 (and free for Kindle Unlimited subscribers), and I ordered 5 printed copies of the book… one for each of the nieces, and one for me to mark up. I’m not Maurice Sendak or Dr. Seuss, but I’m proud of this… my very first book. It’s a kid’s book for my nieces, and if it never sells a single copy, I will be okay with that! I hired a woman from Reddit’s /r/forhire subreddit, and she negotiated prices with me… talked with about what the work would entail… and then she disappeared. I’d have happily paid her for her illustrations and her time, but I ended up illustrating the cover myself. I have no drawing abilities, and I don’t even have Adobe Photo Shop. I used Microsoft Publisher! It was easy enough to do with CreateSpace, but I am pretty sure I spent more time on the cover than I spent on writing the first draft of the story. Now, I’m going to have all the nieces over, give them their copies of the book (along with their little stuffed fairy monsters), and maybe read the story to them. I hope it goes over well! This entry was posted in All, Stories and tagged self-publish, self-publishing, stories with a lesson. Bookmark the permalink.